Need posters for your classroom? 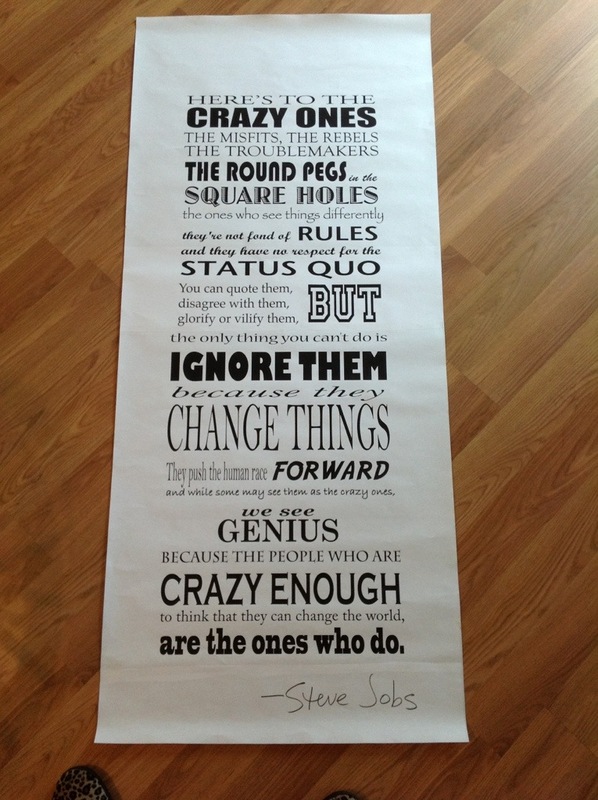 I wanted a poster of Steve Jobs’ quote about the crazy ones but couldn’t find exactly what I wanted so I created one myself. I created this one in two grayscale Photoshop files sized at 18″ x 24″ and saved them as jpgs. Then I uploaded them to the Staples website and had them printed as engineering prints. The paper is thin (like copier paper), and this is only good for black and white artwork, but it was less than $4 to print both posters. This would be great for classroom rules, etc. Genius in the simplicity of this solution. 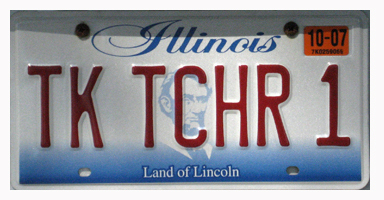 It looks beautiful – you have inspired me to do the same – thanks!